OpenShift Container Platform (OCP) is a Kubernetes management platform and Red Hat is the second largest contributor of Kubernetes. 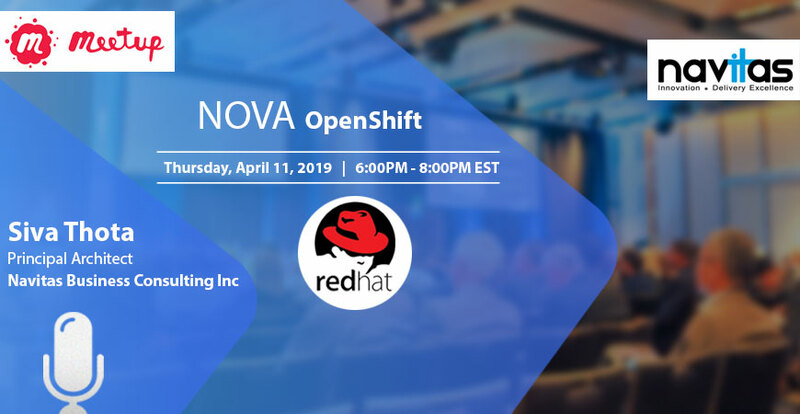 OpenShift's default mode is for developers to begin with a container packaging mechanism for their code and then manage the life cycle of the container; and all application types supported by OpenShift use Kubernetes. Developers are able to conceptualize the details of building and packaging code in container images by using Source to Image (S2I), which builds the containers. This has been a feature of the platform for all versions until 3.x. Now, Redhat is releasing the 4.0 version of OCP based on CoreOS and deep integration of the platform with the underneath operating system. In this session, we will touch upon the highlights of the OCP 4.0 platform which allows seamless day-1 and day-2 automation from an operations perspective. We will also cover the immutable infrastructure constructs and how OCP 4.0 operates based on an installer provisioned infrastructure. Red Hat leverages Operator Framework, which builds on Custom Resource Definition (CRDs) targeting day-2 operation scenarios. Operators typically integrate with Ansible, Helm and other packaging solutions to automate day-2 patching scenarios. OpenShift provides operators for core platform capabilities – such as Kubernetes-platform, etcd, Prometheus, Logging, and others – as well as the operator framework for application deployments. Siva Thota is a Principal Architect at Navitas. A certified AWS Professional Architect, Mr. Thota is passionate about sharing best practices for OpenShift Platform from a deployment and management perspective. He has extensive experience working within cloud native environments and specializes in developing distributed systems, containerizing legacy systems, and implementing serverless projects on Amazon Web Services.